Girls can never be satisfied with one accessory – earrings. N matter how many earrings they own, they crave for more and they should be because it’s one accessory that can simply upgrade looks with almost no efforts at all. Not in the mood to put all your energy while dressing up, simply pick the earrings that suit the attire and you perfectly for jaw-dropping looks. 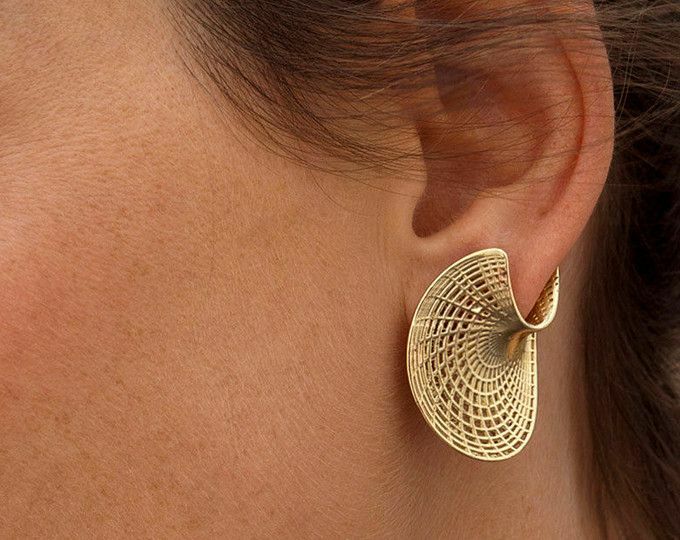 These earrings are the perfect selection to amp-up ramp the style quotient. They’ll highlight your facial features, unlike any other accessory. Adding only sparkly earrings will get you into celebration mood. 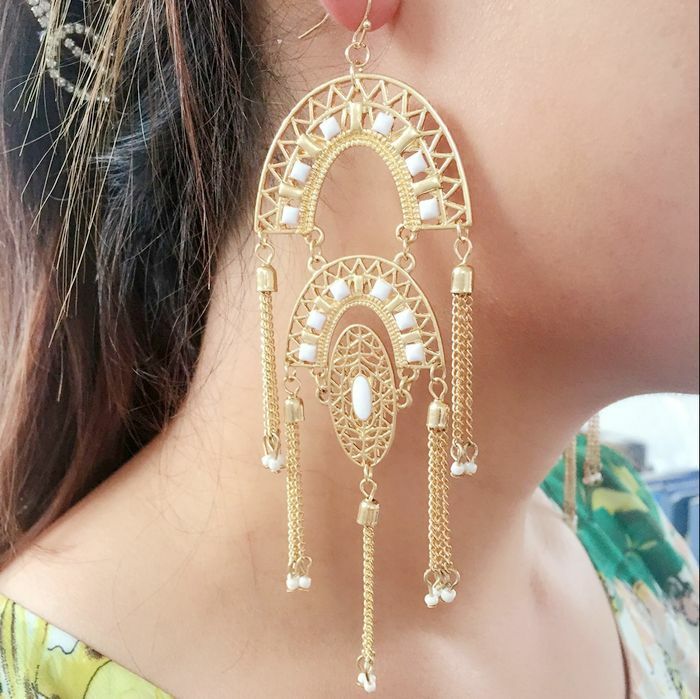 Yes, somewhat like drop and dangle earrings but they have unique designs and stonework. 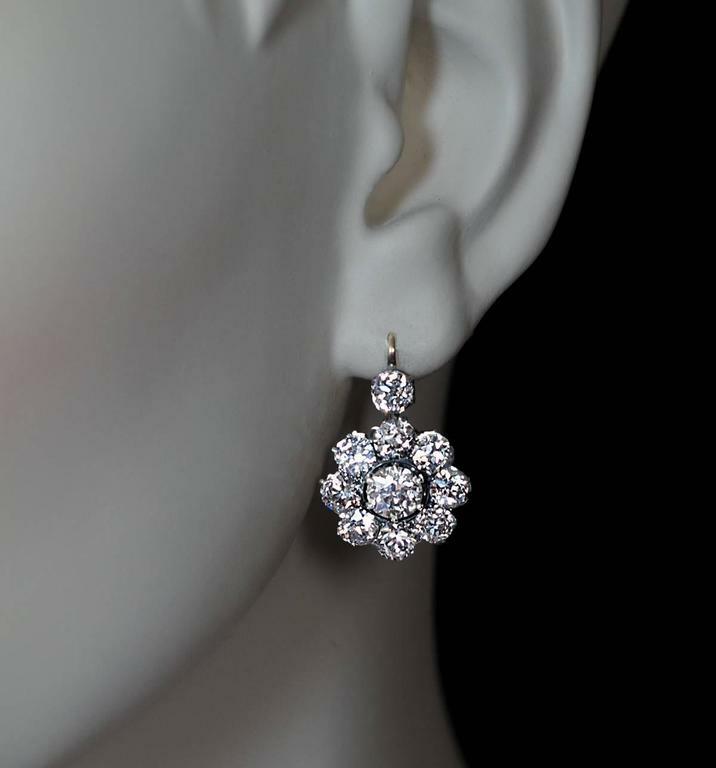 So, if you’re bored from your old dangler collection then add some cluster earring pieces in your earring collection because they surely will make a statement piece that will catch everyone’s eye. They make a perfect amalgamation of stylishness and traditional design that unites peacock motifs embellished with gemstones. 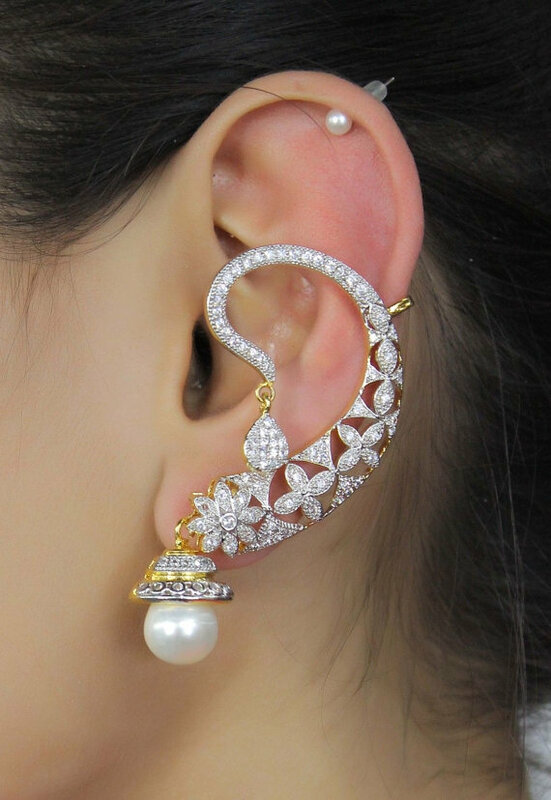 You can also find peacock earrings in ear cuff style which will surely be different from others. If you want to keep your look casual yet elegant and don’t want to look over the top then a pair of lovely latkan earrings is a must. 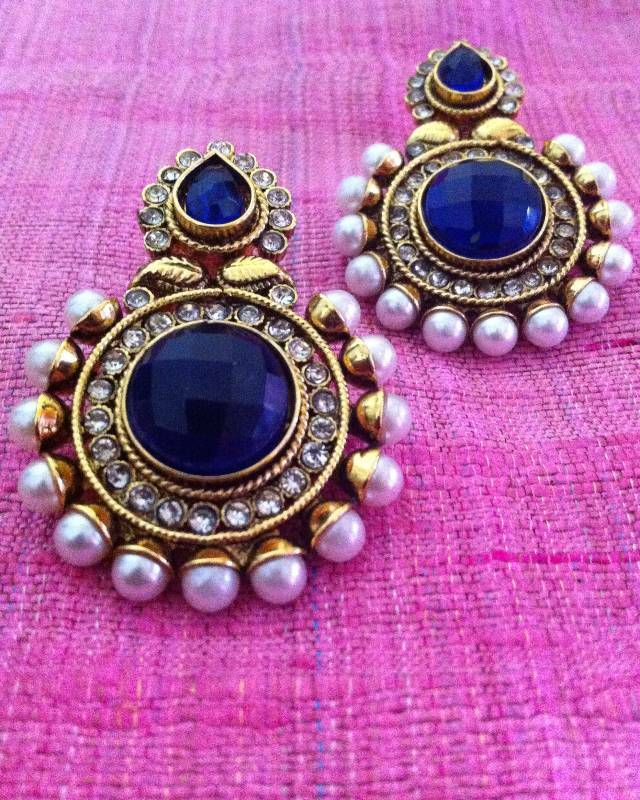 These pretty earrings go well with lehenga, saree, anarkalis, and all kind of Indian outfits. 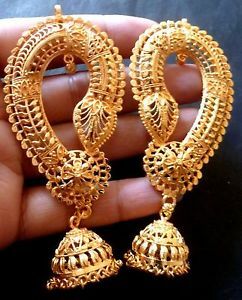 These earrings are for those who don’t like chandbalis or danglers earrings. They look elegant and beautiful at every outfit. 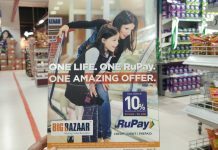 Yes, with traditional Indian outfit too. This wedding season, you can get chic stud earrings and make sure to hairdo a bun to make them visible. The ones Deepika Paduone wore in Goliyon Ki Raas Leela Ram-Leela. You will surely garner tons of appreciation when you pair it up with your classy attire. 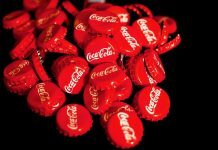 They are in trend now for all the right reasons. 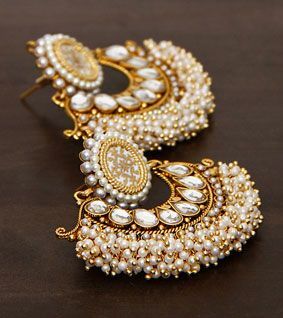 Ditch the old traditional jhumkas and try these fresh and classy versions of old jhumkas that can be worn effortlessly with kurta, sarees, and with salwar suit too. 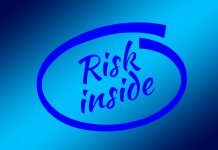 Because they can never go out of trend and you can get them in the designs, styles, and carvings of your choice. 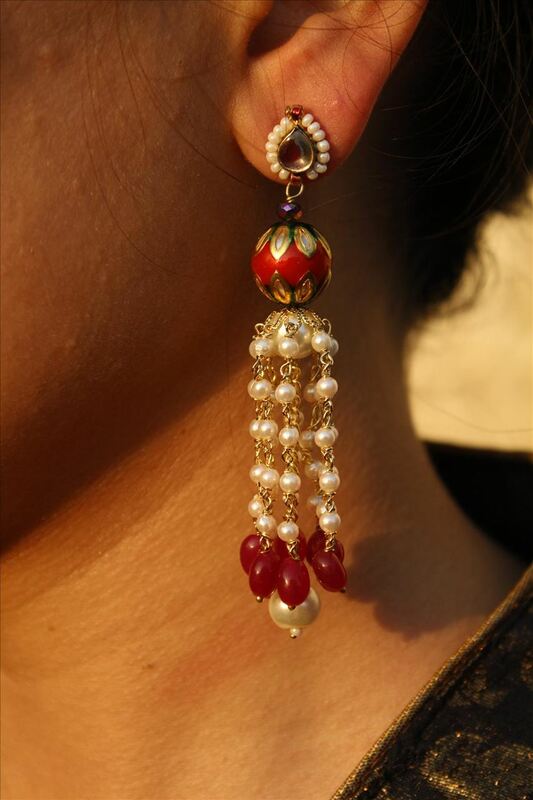 It is one classic earring that is quintessentially Indian. Pearl earrings make a charming statement. It adds oodles of feminine charm in the one who wears it. They are classy, pretty, and come in hundreds of designs which make them perfect to wear with traditional attire. 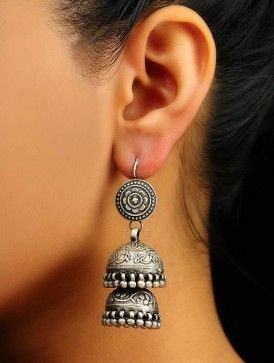 Stone earrings maybe bored us but a single bold stone earring will surely make head turn to get a look of gorgeous earring. And here comes a perk, they can be worn with Indian dresses as well as with gowns to look stunning.